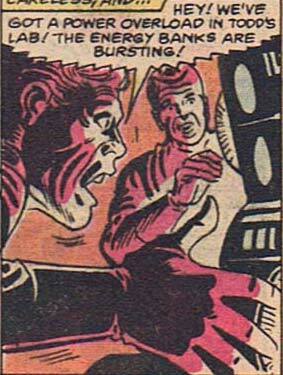 ← Random Panel: I sure hope 'sister' doesn't mean 'nun'. And that your sister is hot. It's time once again for me to take one (and only one) panel from each of ten randomly selected comic books and try to make a story out of them. This week's bunch included "Rocky and Bullwinkle", which is always a challenge, so we'll see how it goes. I'm continuing the "serious" story attempts, and the panels selected include wild teenage parties, skeleton-wearing jungle hunters, slimy prisons, and using all our brains. So here goes! At the secret, private jail of a society of criminal vigilantes located in remote Frostbite, Colorado, mastermind Reynaldo Marrs gathers his minions (including their young protegees) to lay down the law. Criminals they are and, Marrs is certain, criminals they must stay, permanently. The crisis that prompted Marrs to get the gang together for brainstorming is the news that The Punisher has heard about their teenaged super-hero jail, and is hunting them. Unknown to Marrs, at that very moment a rebellion is brewing downstairs in the prison's cells, where a number of teenaged super-powered heroes are being held captive. The dim-witted and quick-to-anger guard, enraged at the insult, pulls out his pistol and fires, narrowly missing his target and hitting a vital power line leading to the prison's energy lab instead. The resulting explosion sends a massive fireball raging into the sky. Quickly the footage makes it onto the national news. 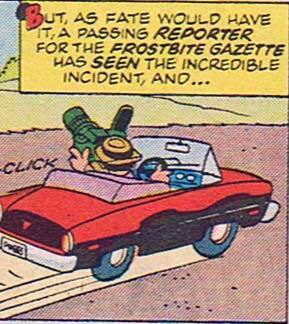 With the location revealed, The Punisher acts swiftly, deciding the time has come to put away his investigative disguise. With the prison in disarray after the explosion, The Punisher easily fights his way to Marrs' office. The criminal mastermind disposed of in the only way The Punisher knows, releasing the imprisoned teenage heroes is the work of but a moment. In one day The Punisher has gotten to put his costume on again, free some kids from jail, and shoot a guy -- it Miller Time! "The Batman Adventures: The Lost Years", No. 4, ©1998, DC Comics. "Coyote", Vol. 1, No. 5. 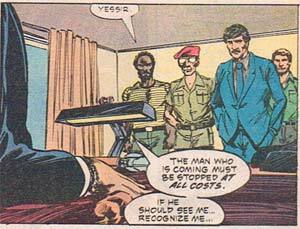 ©1984, Stephen Englehart, Charles Truog, and Bob Wiacek. "Jon Sable, Freelance", Vol. 1, No. 4, ©1983, First Comics, Inc.
"Showcase '96", No. 12, ©1997, DC Comics. "Machine Man", Vol. 1, No. 15, ©1980, Marvel Comics Group. "Bullwinkle and Rocky", Vol. 1, No. 1, ©1987, Marvel Entertainment Group, Inc.
"Chain Gang War", No. 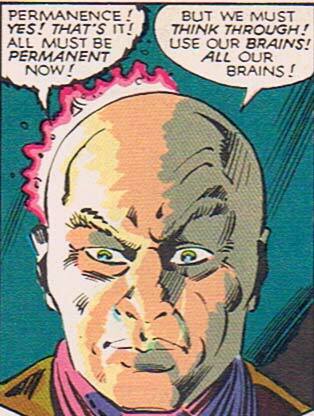 5, ©1993, DC Comics. "The Batman Adventures: The Lost Years", No. 3, ©1998, DC Comics. 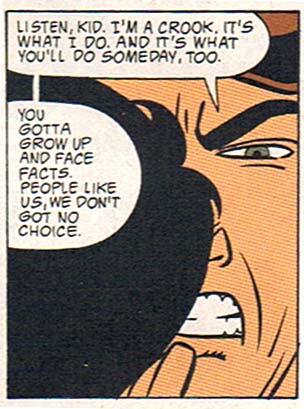 "Namor, the Sub-Mariner", Vol. 1, No. 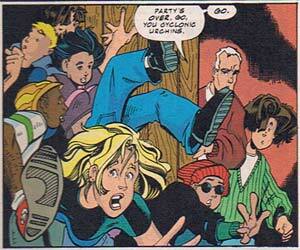 19, ©1991, Marvel Entertainment Group, Inc.
"Impulse", No. 26, ©1997, DC Comics.